First Floor 2024 sq. ft.
Front facing gables, a brick façade, and covered front porches give this multi-family home plan traditional street appeal. 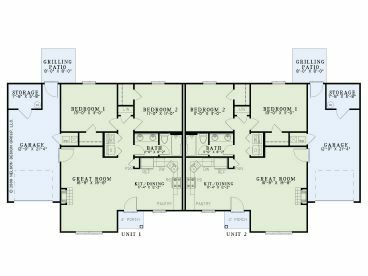 Inside, two identical living units reveal a combined kitchen and dining area that connects with the great room to create and open and flexible floor plan. 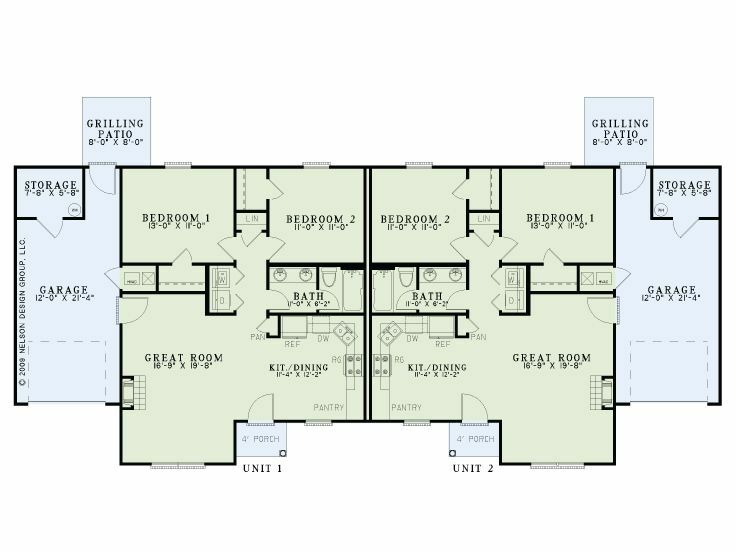 At the back of each unit, Bedrooms 1 and 2 share a compartmented bath. 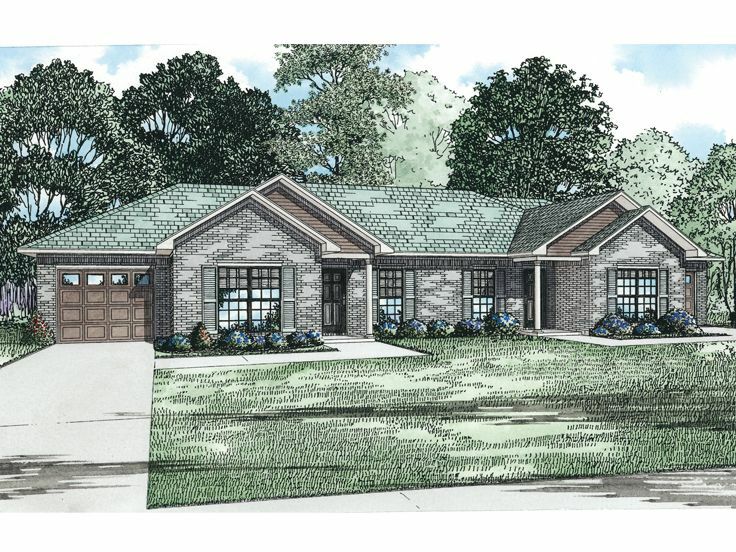 Don’t miss thoughtful extras like the laundry closet, grilling patio and storage area in the one-car garage. 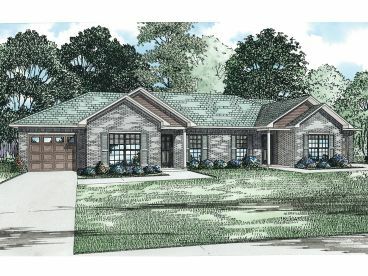 Designed with simple style and features, this one-story duplex home plan is just right for investment property. See plan 025M-0088 for a siding version of this design.